You can find an excerpt here, and buy it here – or see box on the right for places to find it. “If every age produces its own distinct variety of nature lovers, and history seems to show it’s so, then Nathanael Johnson is perfectly suited for our urban century. I am asking people to try a simple exercise: Take one minute to zero in on a bit of your surroundings. Even if it’s something you think you’ve seen 100 times try to look more closely than you ever have before. Then, take a picture of your discovery, no matter how humble, and share it with the tag #unseencity. I’ll be collecting these images here (check them out!) to help prove the point: There’s wilderness all around us, just waiting to be seen. Unseen City is by turns heartfelt, astonishing and very funny. It’s much more than a mere collection of curious facts about urban species. 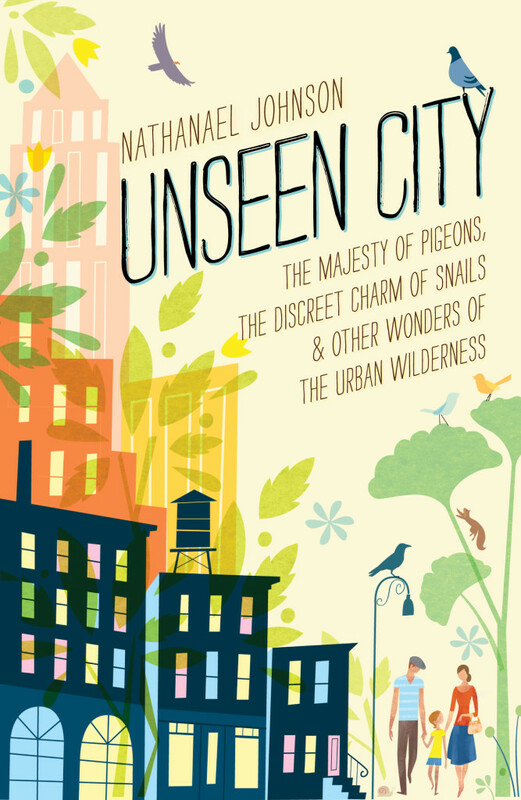 Think of it as a sort of naturalist amuse-bouche — a tantalizing sample of the pleasures available to anyone who makes the effort to really look at the species with which we share the urban world. Minnesota Public Radio News with Tom Weber: Pigeons: Majestic creatures?